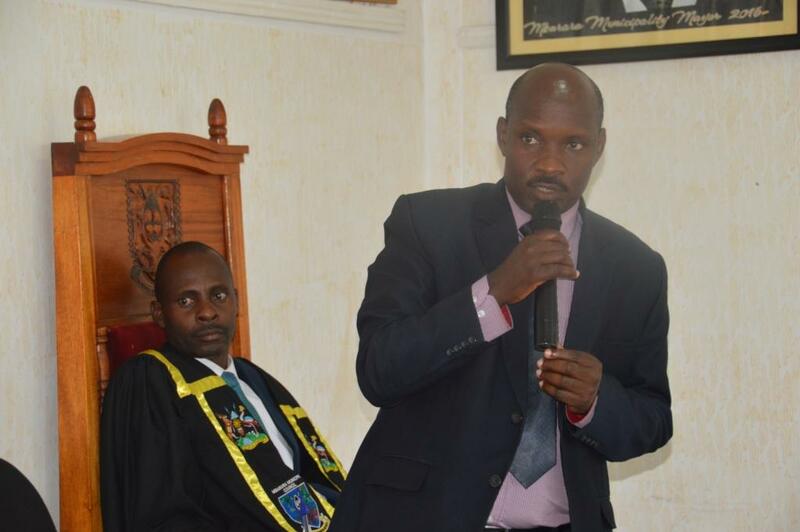 MBARARA – Mbarara Municipality Mayor Robert Mugabe Kakyebezi and his deputy town clerk Richard Mugisha felt the wrath of Municipal councillors on today (Monday) when they were grilled to explain who granted them permission to reduce the Mbarara taxi park and bus park money. It should be noted that the Mbarara Taxi Park tender was awarded at a reserve price of shs16m per week for five years to Mbarara United Taxi Operators Cooperative Society. These have been paying well until last year in April when Kakyebezi reported to council that they reduced the money to shs11m without the approval of council. Since then councillors have been tasking Kakyebezi and the town clerk to give letters from the solicitor general that warranted them to reduce the money to shs11m as they have been claiming to have gotten clearance from the solicitor general but these letters have not been availed up to now. On Monday morning during a heated council meeting, councillors asked for an adjournment if Kakyebezi and his team refuse to table those letters. Betty Tigefera lady councillor representing Kakoba division prayed that technocrats and Mayor Kakyebezi should table all the paperwork regarding how the money for Taxi Park was reduced without council’s resolution. “Despite the fact that there was a presidential directive to remove daily taxation but before it came these people had reduced our money from shs16m to shs11m even the bus park they had reduced it from shs9m to shs7m and there is no any write up to that effect, so how shall we demand for our money, verbally? as a sit, I want the technocrats led by ton clerk and our mayor before we proceed to bring us all the letters pertaining this matter” Tigefera moved. Godfrey Tumusime councillor representing Kicwamba ward in Nyakayojo division also echoed the same that before they precede, deputy town clerk Mugisha and Kakyebezi should first avail them all the letters from council’s lawyer, Solicitor General on how they agreed to reduce the money without council’s resolution. “Who gave you the permission to reduce the money, our powers as council have been usurped by a clique of people which we shall not allow, I pray Mr Speaker that this house be adjourned until these people avail us the documents because in the finance committee, the chairman was here crying that they have always asked for these documents but they could not be availed, if there was connivance you received this money we want to know.”Tumusime also moved. In defence Kakyebezi requested councillors to be patient and avail them to the finance committee with a file containing all the documents in a period of one week, however, this was vehemently rejected by councillors before they requested him to sit down. Nobert Samsu Youth councilor representing Nyamitanga stood on the point of procedure and submitted that, “Procedurally when council requests for a document then you don’t push it to the committee, as councilors are requesting for the various documents, let them be provided and be laid on your table. Tashobya tasked the deputy Town clerk Mugisha to explain the where about of the documents, in his response he stated that there are various circulars from pertaining the matter right from 2013 when the president’s office wrote, and one 2017 and the 3rd one of November 2018. 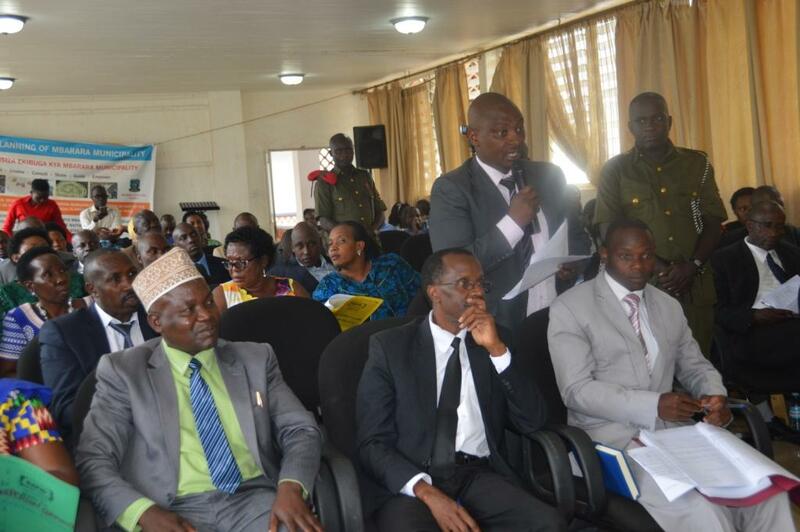 Speaker Tabyoba declined to grant an adjournment but ruled that Mugisha should avail the documents before council ends. By press time the council meeting was still going on.